A gently sloping hard coral reef makes for an ideal day or night dive. 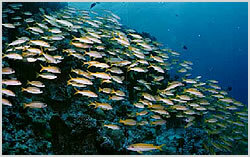 By day thousands of snappers, damselfish and anthias can be seen schooling. 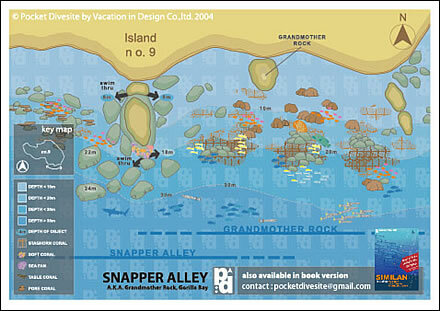 There are swimthroughs and caves to be found at the mid-point of the dive. By night the reef comes alive with the sound of nocturnal critters feeding. Featherstars, spiny lobsters and sleeping bubble encased parrotfish can be seen.